There are few communication methods with the ability to so perfectly describe your mood, situation, and even internal monologue as the GIF does. From memes to promotional messages and social media, GIFs are infiltrating our daily personal and professional conversations, and as a hotel marketer who relies heavily on the ability to tug at your guests’ heartstrings, you should be taking advantage of it. It only takes seconds to make a GIF for your email marketing message or social media post — no joke. This is a great skill to have in your hotel marketing arsenal, especially if you’re strapped for time. If you’re struggling with finding that perfect GIF or have a brilliant idea for a new one for your marketing endeavors, here’s a great guide for how to quickly put together your own! 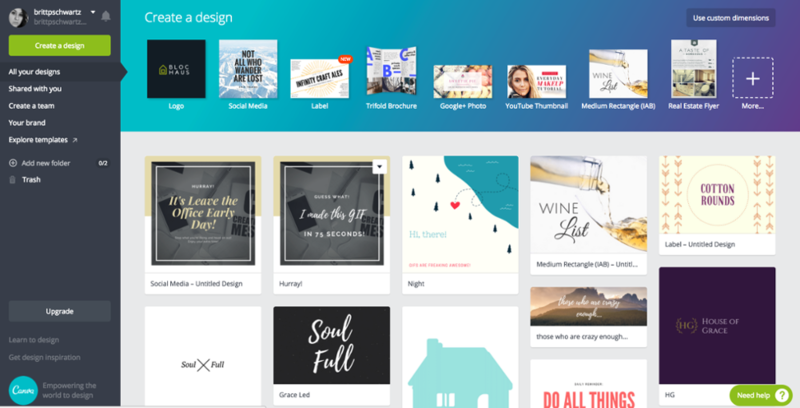 If you’ve never used Canva before, it’s a fantastic free tool with an expansive library of stock images, fonts, and graphics that anyone can use to look like a graphic design genius. This is particularly useful for solo marketing practitioners or small teams at small hotel groups who have limited resources. 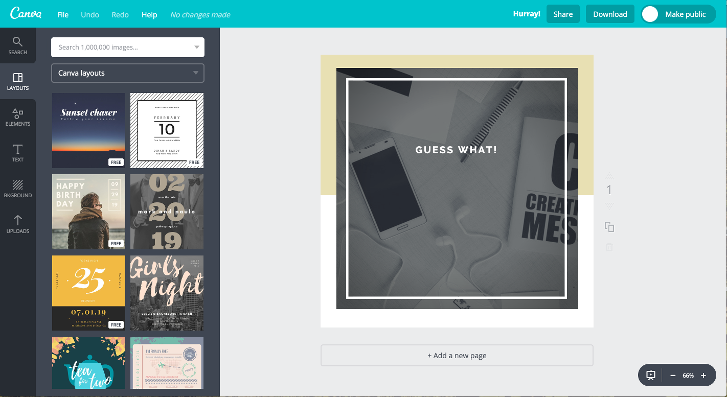 One of the reasons Canva is such a great resource is because it has a lot of great starter graphics. The GIF in this example was made from one of their base images. Before spending time or money on graphics or images, check out the Canva library and you may find something to help you get started. If you don’t see what you’re looking for head over to Vecteezy.com or Creative Market to find other free graphics to use. Animated GIFs look “animated” because they layer multiple still images over each other in a loop. You have to create each of those layers. In this example, the animated part of the GIF is the words. 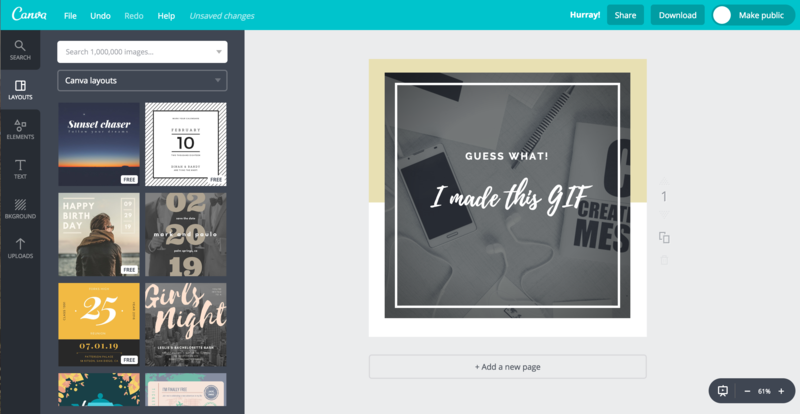 Use Canva to remove all the words from the image, leaving the backgrounds, border, etc. DON’T MOVE ANYTHING. This is important! If you move elements or text between layers, it will not animate smoothly. Repeat these steps with the final line of text and then download this third, final image. I know that sounds overly simplistic, but it really is that easy. 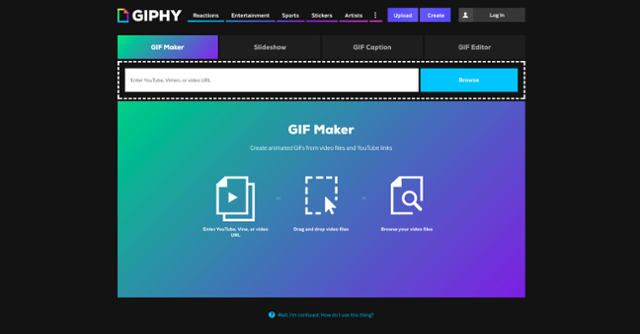 One great tool for compiling your final GIF is GIPHY. You may recognize that name if you use the GIF response on iMessage, Twitter, or even Slack! GIPHY is one of the largest libraries of GIFs and if Apple is using them, well, so am I. You can make a free video or animated GIF in GIF and save it for social, download it to your computer, or even get a mini-one to use on your phone. 1. 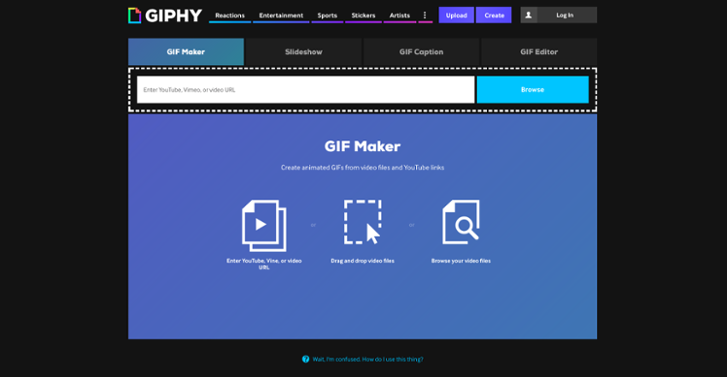 Go to GIPHY’s site and select the “CREATE” button in their header. 2. For the animated GIF, select Slideshow. 4. Organize them in the order that you want them to animate. 5. Using the slider tool, select how fast you want the layers to loop. 6. Select “Create Slideshow” at the bottom of the screen. You did it! You Made An Animated GIF in Seconds! 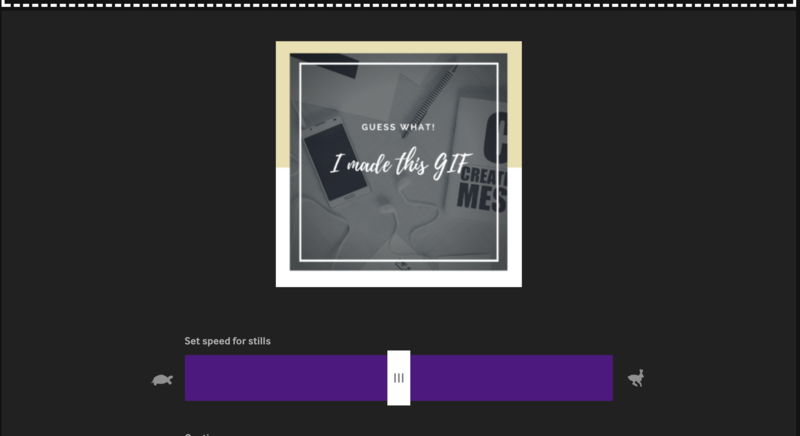 Unlike when creating from a video, you’ll want to upload the file to the GIF Maker tab. GIPHY allows you to select both when the GIF should start and how long it should run for. 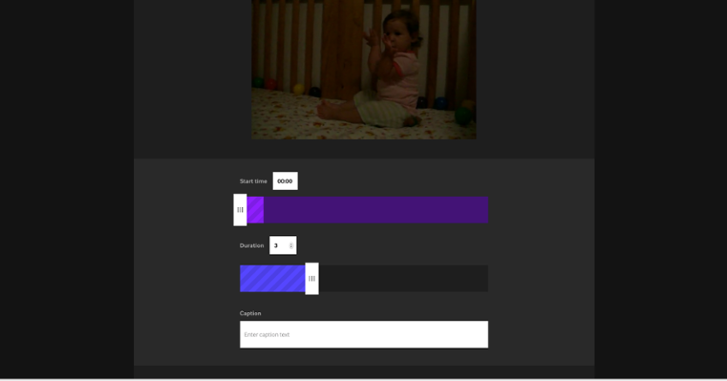 Use the sliding tools to determine which part of your video will become your GIF loop. Download your GIF to your computer, but also grab those share links! 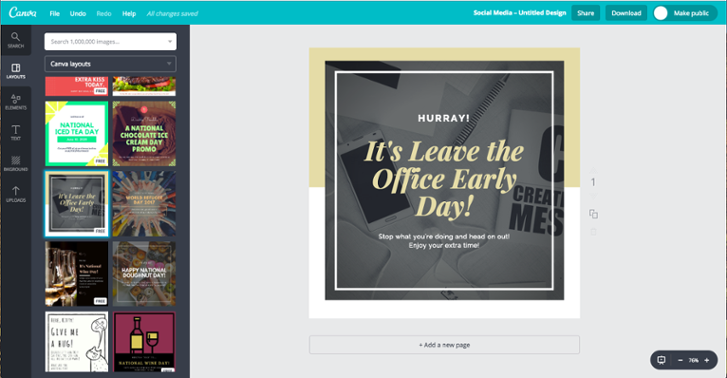 You can immediately share your creation on Facebook, Twitter, or embed in a email marketing message! This article is informative, well-written and very interesting. I have truly enjoyed reading your own points of view and it helps me a lot to enhance my knowledge.